The premiere is scheduled for June 29 in Washington, and my book tour begins on July 7. Some of the cities I’ll visit are Santa Fe, NM, Los Angeles, Minneapolis, New York, Salt Lake City, Phoenix, Manchester, NH, Fargo, ND, Charlotte, NC, Portland, OR, San Francisco, San Diego, Hong Kong, Singapore and Tokyo. An updated list, as well a sneak peek at the book’s content, reader comments and other educational materials, can be found on DecodingAirTravel.com, where you can also purchase a copy with a 20 percent discount. Of course, you can also buy it on Amazon, which offers free standard shipping. 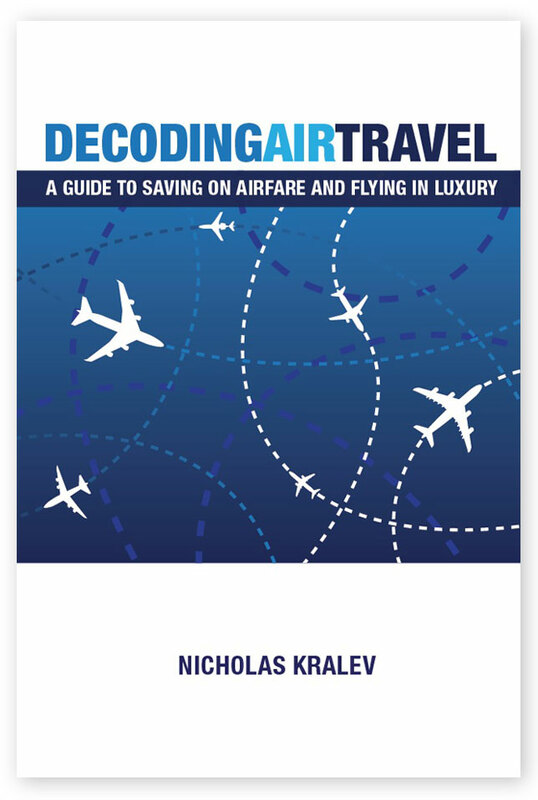 “Decoding Air Travel” is the most comprehensive and insightful work to date on the intricacies of the modern air travel system from a customer perspective, and the most effective tool for making travel more affordable, convenient, comfortable and fun. It has two goals: Improving readers’ travel lives and saving them lots of money. It seeks to achieve those goals by helping them become knowledgeable, empowered and sophisticated travelers. We are all stakeholders in the air travel system — airlines, travelers and government authorities. A more effective and less frustrating system than the one we have today would benefit us all. Why do I care about this so much? Because I want more people to travel and see the world. I spent the last decade being around diplomats and writing about them almost every day as a newspaper correspondent. Although different countries’ national interests are the main drivers of international relations, the underlying mission of diplomacy is to make the world a better place. One way to do that is to give more ordinary people — not just diplomats — the opportunity to travel to other countries, experience different cultures and try to understand points of view they may not agree with. Most people cite two main reasons for not traveling abroad: It’s too expensive and too much of a hassle. If only there were ways to eliminate those barriers. As it happens, there are such ways — that’s what this book is all about. Part I, “Building Your Own Airfare,” explains in detail the fundamentals of fares and flight inventory and offers a highly effective booking process called The Kralev Method. Part II, “Creating a Seamless Journey,” will help you turn your flying into a pleasant and hassle-free experience by deftly handling any problem that may arise, including delays and cancellations. Part III, “Mastering the Frequent-Flier Game,” reveals the secrets of a modern global traveler who benefits from elite airline status, upgrades, award tickets and much more. If you take at least two plane trips a year, this book will improve your travel life enormously. This entry was posted in Travel and tagged air travel, air travel textbook, airfare classes, airfare codes, airfare science, airline system, airport experience, book tour, business travel, Decoding Air Travel, frequent travelers, frequent-flier programs, international relations, Kralev Method, modern traveler, travel education. Bookmark the permalink.